Help empower and improve the lives of those affected by epilepsy and seizure disorders. No act of generosity is too small to make a difference! I have read and agree to the Terms and Conditions and give my consent to Epilepsy Foundation Eastern Pennsylvania to process my personal data. I understand I can revoke this consent at any time. The Mardi Gras Gala brings in hundreds of prominent community figures to celebrate our honorees, the Foundation's accomplishments, and the shared goal of improving the quality of life of those affected by epilepsy. The Black-Tie Gala features an open bar complete with masks, beads, hurricanes, French Creole sit-down dinner, dancing and lively entertainment. Hotel accommodations will be available for Mardi Gras guests at the Courtyard by Marriott Philadelphia Downtown located at 21 N Juniper St, Philadelphia. Make your reservation before February 4, 2019 by clicking the link! Access $10 off each leg of a round trip Uber ride to or from Vie on February 22 by clicking this link, event.uber.com/claim?code=esxl99f, OR entering the code esxl99f. Greg and Wendy Fry are parents to Penny, a three year old warrior battling epilepsy. Despite Penny's seemingly typical development and otherwise good health, she has experienced seizures since she was 8 months old. She was eventually diagnosed with Dravet syndrome, a rare lifelong condition associated with prolonged seizures and developmental challenges. Effective treatment options for those living with Dravet syndrome are extremely limited and there is no cure. Prior to Penny's first seizure, the Fry family knew very little about epilepsy. 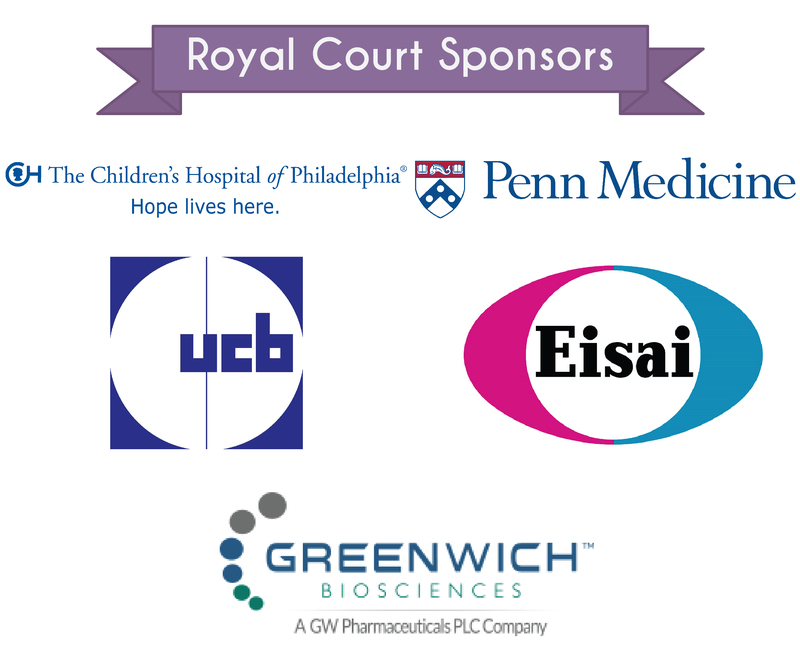 Since that day, they've worked continuously to advocate for the epilepsy community, fundraising in various ways so that organizations like EFEPA can drive research and provide support services for local and national community members. In early 2018, Wendy joined the staff of the Dravet Syndrome Foundation as Director of Family and Caregiver Engagement with a goal of supporting newly diagnosed families. Greg reflects on personal experience to bring a patient-centered perspective to his work as a consultant in the healthcare industry. Both are extremely thankful for the team that helps to make this important work possible, including Penny's loving grandparents and her dedicated nurses. The Fry Family has been the fortunate recipients of amazing support from family and friends. Team "Purple for Penny" has bought t-shirts, joined us at the EFEPA walks, hosted happy hours and silent auctions, attended events, asked for donations in lieu of gifts for their children's birthdays, run marathons, and made countless generous contributions to the community. Wendy confides, "We continue to be amazed by the outpouring of support for family and the epilepsy community at large." Penny confidently battles her seizures each day, setting an example for all who provide her care. She amazes everyone she meets as she works fiercely to keep up with her peers in ballet, gymnastics, preschool, sports clubs, and all sorts of activities. Her unique and quirky sense of humor paired with her talent for entertaining frequently make her the life of the party and the Frys are so thrilled to have this special evening to celebrate Penny at Mardi Gras. This year we are once again combining the Medical Professional and Volunteer categories to honor an extraordinary young nurse in our community. Sarah Tefft is an epilepsy/ketogenic diet nurse at the Children's Hospital of Philadelphia and dedicated epilepsy champion. Her introduction to the epilepsy community, and the EFEPA, began even before she became an epilepsy nurse. While studying at Gwynedd Mercy College, she babysat for a local family whose daughter has epilepsy. She remembers helping as the family prepared to host one of their first fundraisers for their Walk for Epilepsy team, Marching for Morgan. Sarah became directly involved with the EFEPA when she was new to CHOP Neurology and spotted a flyer for Camp Achieve. The opportunity to volunteer at camp immediately sparked her interest. Sarah had volunteered at Camp Freedom, a camp for children living with diabetes, when she was in college. So, she sought out Sue Livingston, Camp Medical Coordinator. Sue was thrilled that she was interested in Camp Achieve and brought her on to the 2015 volunteer team. Sarah shares this about her first year at Camp Achieve, "I went to camp knowing no one there except for Sue, but I immediately felt accepted by everyone. By the end of the week I realized that the EFEPA community is like no other I have ever experienced. Most people I had met had had a long standing relationship with the foundation and they continued to come back year after year to gather for time at camp. I knew I wanted to continue my involvement in everything I could from there on out." Since then, Sarah has been actively involved with the EFEPA. From running on the Athletes vs Epilepsy team to speaking at our annual Epilepsy Education Exchange; from joining the Camp Achieve Medical Review Committee to providing leadership on the Young Professional Mardi Gras Committee, Sarah lives her passion for epilepsy advocacy and education. Sarah's main interests in epilepsy are non-pharmacological treatments for intractable epilepsy, such as dietary therapies and neuro-stimulation devices. In September 2018, she officially became a ketogenic diet nurse at CHOP. This role includes actively presenting at monthly keto seminars for families interested in starting the diet, helping patients and families navigate starting the diet during hospital admission, and follow up visits as well as messages and calls in between appointments. In all she does, Sarah takes special aim to focus on family-centered care for epilepsy. Sarah is currently enrolled at Thomas Jefferson University in the Pediatric Primary Care Nurse Practitioner Program. She is expected to graduate in August 2019. Outside of work and school, Sarah enjoys include time with family and friends, seeing live music and traveling to warm places when she can. She also has a very small antique nursing book collection, which she is always looking to expand! 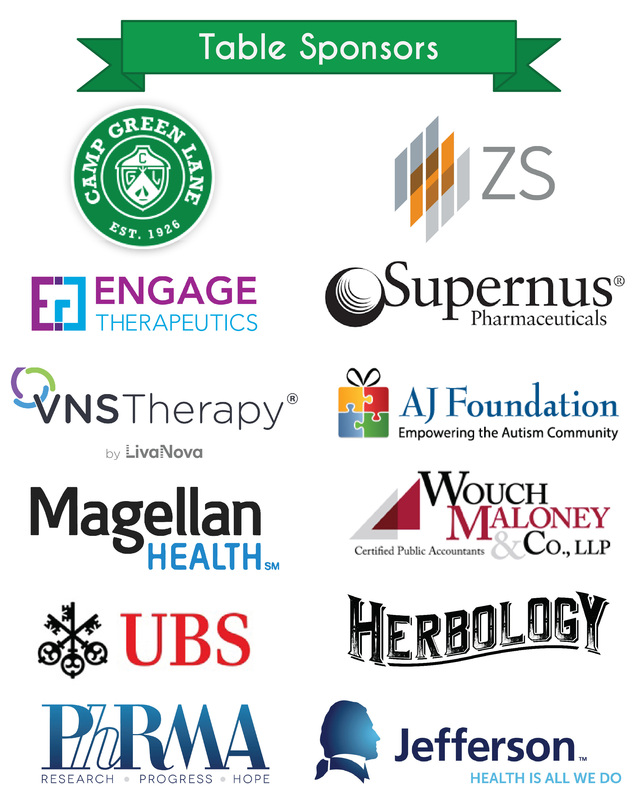 Thank you to our 2019 Mardi Gras Sponsors!